Do Gravitational Forces 1 first. Understanding the nature of gravity and how it acts will help make normal forces easier to understand, particularly when analyzing stacked masses. Also, gravity is the force everyone knows about. Why ignore its existence until much later? Integrate system schemas and free-body diagrams into the HW problems. PiM doesn’t do them (which makes the book more flexible for fitting into instructors’ different teaching styles). But without SS and FBDs, we have a less structured way of analyzing the forces in the HW problems, which is likely causing some confusion. This means that I cannot simply photcopy the PiM HW sheets as is, but I will need to re-write them and add supplemental problems. Newton’s 3rd Law is treated throughout all the lessons. The static case is developed first, with the dynamic case delayed until later. 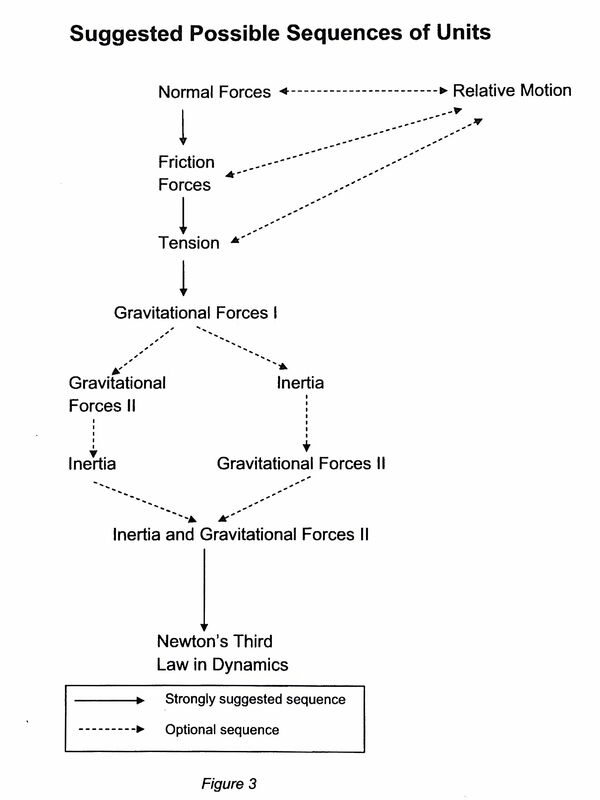 In fact, 3rd Law reasoning is essential to developing the proper models for each force. Spring Force vs. Stretch Lab (simple lab, 2 data sets, focus on taking data over a wide range of levels, each spring will likely NOT have same set of levels). So far for THIS year, we’ve only done 1,5, and 6. Looks like I’ll have to head back and do 2, 3, 4, then introduce schema and FBDs, followed by 7, 8, and 9. *sigh* This teaching thing would be so much easier if I just assigned textbook reading and end-of-chapter problems. *** UPDATE 7 OCT 2013: Now thinking of delaying the bowling ball and the fan carts until after the sequence of forces. Trying to separate the static and the dynamic cases. Kids get the static case — balanced forces means constant zero velocity. Having all the forces under our belt will allow for a deeper analysis of the dynamic cases (bowling ball and fan carts). 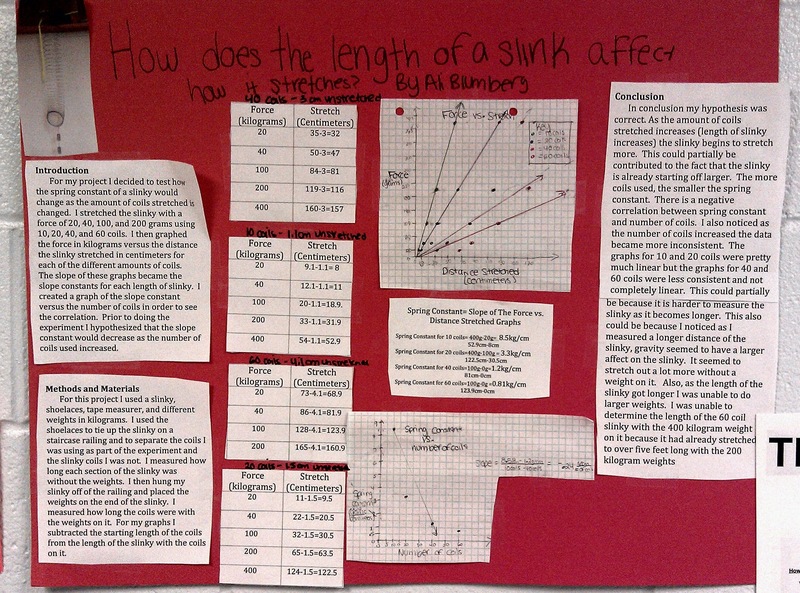 College-Prep Physics: A student investigated the relationship between the number of coils in a slinky and its spring constant.